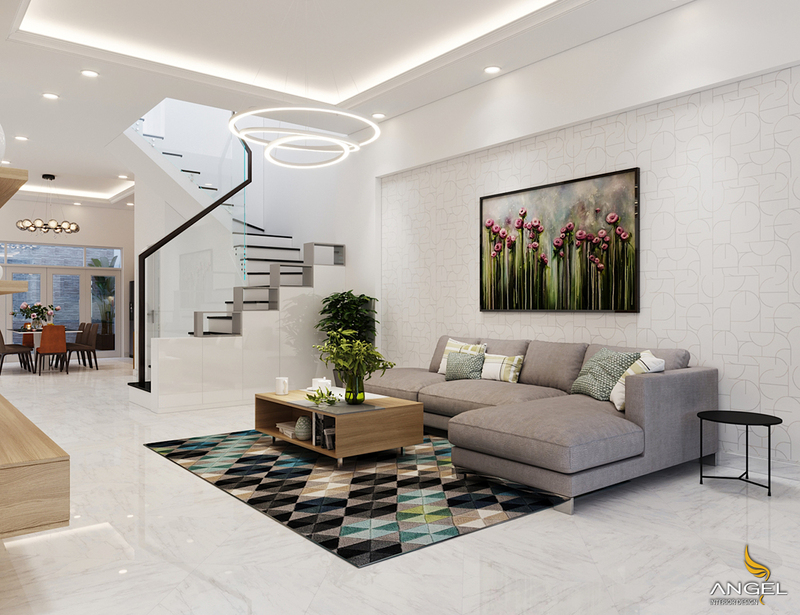 An interior design project is being implemented at Ly Chinh Thang street, District 3. A family preparing a new home for the 2019 spring is working with Angel to develop the best solution for the new home. 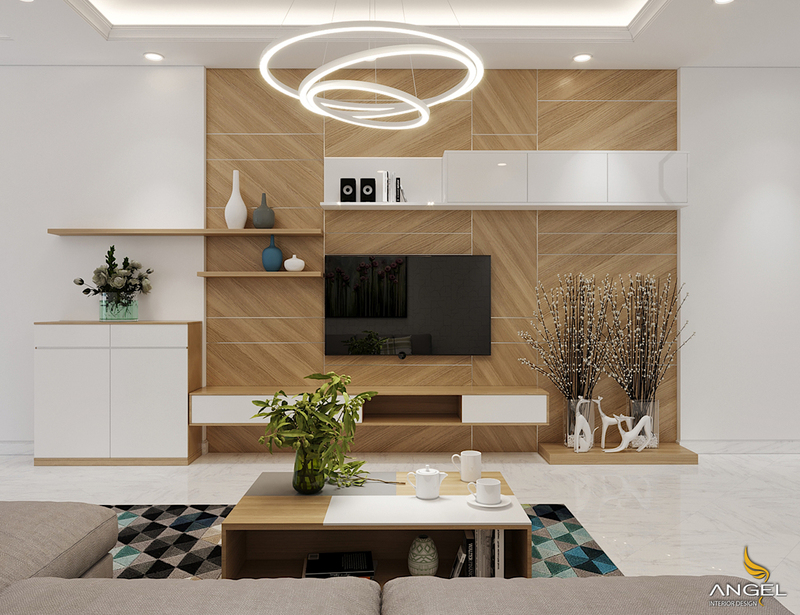 Modern interior design style with neutral tone is mainstream. The house will look good in charismatic with simple but equally outstanding highlights. The living room has a sofa set L combination that is convenient for the reception and comfortable viewing television with benches. Comes with a sofa that is a tea table designed for storage space under the furniture will be very convenient. Elegant sofas adorn the statue with a very luxurious brick tone, giving the background a striking contrast. 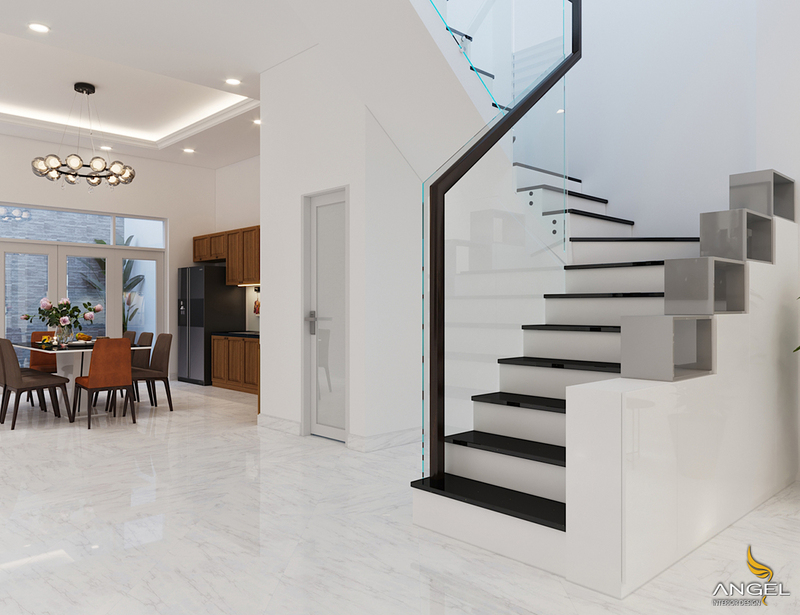 The stairs of the house are also designed with glass and stone materials combined together with black and white colors will create a strong contrast and very dirty. TVs and cabinets with shoe cabinets, tea tables and wood trimmed with luxurious wood trim and wood create warmth for the home. Indispensable in the living room is the lamp decorated living room with modern design is preferred in the apartment today.